Lebanon PM resigns, says fears for his life – Royal Times of Nigeria. 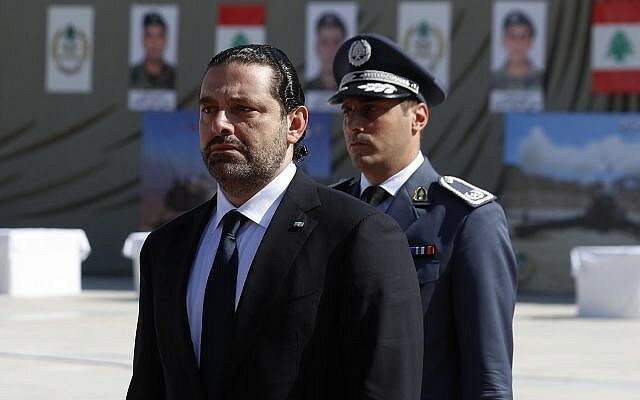 Lebanese Prime Minister Saad Hariri has announced his resignation earlier today , citing Iran’s “grip” on the country and threats to his life. The two-time prime minister, whose father Rafik was assassinated when he held the same position in 2005, accused Iran and its powerful Lebanese Shiite ally Hezbollah of seeking hegemony in the region. In his statement, Mr. Hariri said Iran was “losing in its interference in the affairs of the Arab world”, adding that Lebanon would “rise as it had done in the past” and “cut off the hands that wickedly extend into it”. The 47-year-old Sunni politician’s resignation comes less than a year after his government, to which Hezbollah’s political wing belongs, was formed. Hariri also said that Hezbollah’s policies have put Lebanon “in the eye of the storm.” His attacks on Hezbollah come on the heels of new US sanctions on the group that many fear will impact negatively on the Lebanese economy. “Hezbollah was able in past decades to impose a status quo in Lebanon through its weapons directed at the chests of Syrians and Lebanese,” he said. “When I took office, I promised you that I would seek to unite the Lebanese, end political division and establish the principle of self-sufficiency, but I have been unable to do so. Despite my efforts, Iran continues to abuse Lebanon,” he said.